The MTI Fellow Award was created in 2000 to recognize individuals who have been instrumental in developing the organization’s advancement in becoming a leader in the chemical processing industry. MTI Fellows are publicly announce and are awarded a plaque, specialized name tags and letters of commendation. Fellows are invited to future MTI meetings and have access to the Member area of the MTI website where they are encouraged to lend their expertise by participating in the online forum. Click here to visit the Awards page to see criteria for becoming an MTI Fellow. Pradip Khaladkar, PE, DuPont Company is MTI's 13th Fellow. He has been a pioneer, innovator and driver in the development of numerous polymer projects. Khaladkar is well known and recognized as a valuable resource for member companies when non-metallic questions are posed. He has served diligently over-the-years as a resource advisory group leader, the champion of many projects, relentless project team member and on the MTI Board of Directors. 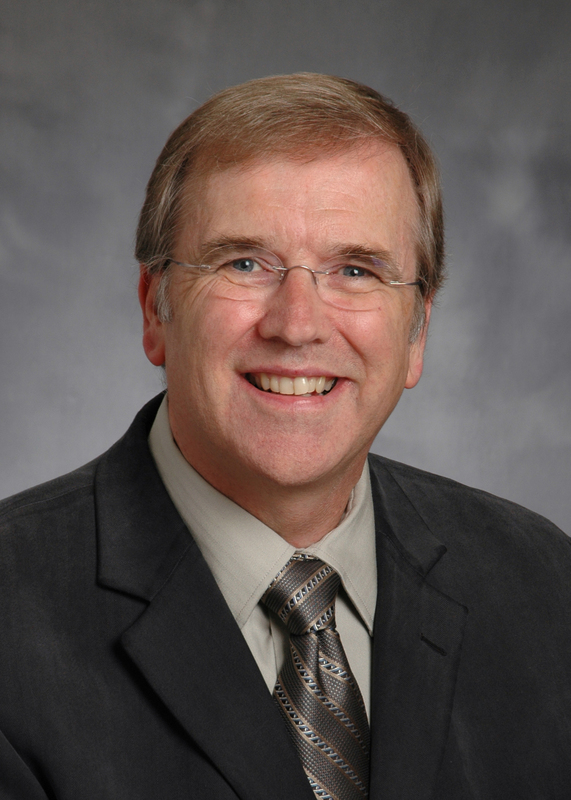 The Materials Technology Institute recently named Jim Macki an MTI Fellow. Macki served on MTI's Board of Directors in 1979 and, after a hiatus from the organization, became an Associate Director in 1995. Macki, who holds a PhD in Materials Engineering from The Ohio State University, retired from The Dow Chemical Company in 1995 after 27 years' service in a variety of materials engineering and management roles. As Executive Director since 1998, he has helped guide MTI's growth and other important goals set forth in its Strategic Plan. Macki's many achievements include overseeing the organization's expansion into Europe and Asia. "MTI members and staff continuously solve engineering problems globally," he reports, sharing credit for the accomplishments. "MTI has grown globally in recent years mainly because of the willingness of the members to adjust to other cultures. I am especially proud of how we were able to figure out how to service our members in China and Asia." 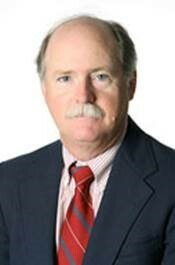 MTI has named longtime member Bill Fort, recently retired from Shell Global Solutions, its newest Fellow. Fort, who joined MTI in 1993, was elected to the Board of Directors in 1996 and served as Chairman from 1999-2001. Always active in a variety of MTI activities, Fort recently chaired a committee working to better understand the conditions leading to hydriding of titanium under conditions of interest to member companies. He has a long history of active participation and contribution to MTI, including a long stint on the BOD. He could always be counted on to actively contribute to the forum with both questions and answers. He was an active project champion over many years as well. Fort is already enjoying retirement, but adds that he plans to stay involved in MTI activities too. "I'm ecstatic about being able to continue to participate in MTI as an individual," says Fort. "I hope I can continue to contribute in some useful way. Fort confesses that he was also very surprised to be elected for the Fellow honor." It's deeply gratifying to be recognized in such a way," he says. Fort is MTI's 11th Fellow. Sandy has been active in MTI for many years and has served in many leadership roles including a stint as Chairman of the Board. It was Sandy who championed MTI's participation in the Vision 2020 process that has played an important role in shaping the organization of MTI's project process. In fact Sandy played a key role in conceiving and implementing the current structure used by MTI for project creation. Sandy has always been a visionary who has consistently encouraged MTI to look forward to ensure a strong future for not only MTI but for the industries we serve. As a member of the Board and a very active member of the TAC Sandy always pushed us to think big when it came to project selection and some of his projects certainly fell into the big category. There is no one who better exemplifies the spirit of MTI. He has been unfailingly helpful and open with his broad knowledge to everyone within the MTI family and sincere in his desire to see MTI fulfill its mission. Bob's association with MTI as our Legal Counsel goes back to the earliest days of MTI and he has played a key role in making MTI the successful organization it is today. Bob's experience and insight into the world of corporate governance is a fantastic asset to your Board on both the tactical side of day to day operations and the strategic side of looking to the future. Perhaps most importantly he has kept us on the straight and narrow when it comes to antitrust issues that could easily cause severe damage to MTI. Finally, we will find no better friend of MTI than Bob. He is always an ambassador for us and has been responsible for more than one new member over the years. The MTI Fellow Award was given to Greg Kobrin for his outstanding dedication to the mission and operation of MTI. Greg is also recognized for his exceptional leadership among his peers in guiding them to the accomplishment of MTI objectives and overall education in materials engineering principles. Now retired from DuPont, he has been enjoying retirement for several years and many of the current membership have not had the pleasure of knowing and working with him. Greg served as TAC Vice Chair and Chairman and also served on the BOD. He was very active in many projects and is well known for his expertise on MIC corrosion. Greg wrote, "My career in Materials Engineering spanned 40-plus years, and I enjoyed every minute of it (well, almost every minute!) But, some of the 'funnest' and most rewarding experiences happened during my association with MTI." George B. Elder, Union Carbide, also a member of the group in the bar who had the vision for MTI served MTI as a Member of the Board of Directors. He was a major contributor to the early efforts to publicize and promote the idea of such an organization. He was very active and effective in the discussions that defined the Charter, By-Laws, and organizational structure of MTI. George served as acting Executive Director during the period of incorporation and until Mars Fontana was hired. Following his retirement from Union Carbide, George became a consultant to NiDI. In that capacity, he continued to be an effective advocate for MTI, representing NiDI at a number of TAC meetings. Warren I. Pollock, DuPont, served as the first TAC Chairman for four years and considered it a significant milestone in his professional career. He provided leadership and guidance that was essential to the organization at that time. It was his concept that the Technical Advisory Council should function as an advisory board that would determine the direction and scope of the technical program. Warren was also one of the strongest advocates for making MTI an international organization. When given the Fellow Award, he praised the consistently high level of professionalism of the organization and gave a short tribute to the late Mars Fontana, the first Executive Director of MTI. Bob was one of the original small group that helped create the organization 30 years ago and determined how it would operate. This was during the two years of development prior to MTI's incorporation in 1977. He served as the first Chairman of the Board from 1977 to 1979 and remained on the Board until 1990. He later served a second 3-year stint as Chairman. During his tenure on the Board he guided the organization to develop the flowchart that is still used today in determining the dues of member companies. Bob was referred to by Bob McTamaney's firm as the "conscience of the organization". In presenting the award, Chairman Liening remarked that Bob's influence is still felt today in MTI's organization and operating methods. His terms of service on the BOD and as the Designated Representative for Monsanto (15 years) are among the longest in MTI. 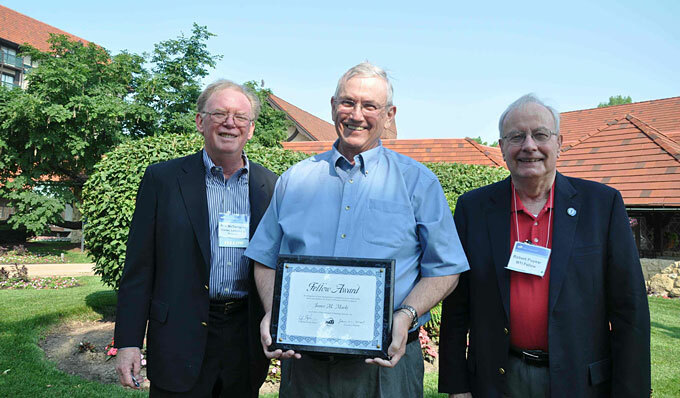 Bob's consistent support of MTI over many years and his great influence on the organization make him highly deserving of the MTI Fellow Award. Sheldon Dean was recognized for 39 plus years as a materials engineer and for more than 25 years of service to MTI. Sheldon represented Air Products & Chemicals. Sheldon gave continuous service to MTI. Sheldon was present at some of the organization meetings back in 1976. He served on the TAC as the Air Products & Chemicals Representative starting in 1977. His service to the Board dates back to 1982. He was Vice-Chairman, Chairman of the Board, and served as Chairman of the Publications Committee, and most recently the Chairman of Finance and Audit. He was associated with many of the successful projects of MTI - stress corrosion cracking of austenitic stainless steels, the hydrodynamics project, and most recently the MTI/ASTM collaboration project. Bill Fort stated during the presentation that "when I think of Sheldon, I think of all the times he volunteered really good information in the TAC Forum and as a member of the BOD, Sheldon is the guy that I think of as always standing on principles and on many occasions encouraging the Board to do the right thing." Paul Dillon has had a long-term career in the materials engineering area. Paul began his career at Union Carbide in 1948 and has been working in the area of materials engineering ever since. Paul is one of the founders of MTI. He is credited for being the Father of MTI. Apparently, Paul was one of the five individuals who were present in that bar in Toronto when the idea was hatched. But Paul was the spark plug that really made it happen. So MTI does well to recognize him for that. He retired for the second time in 1991, and started his consulting practice at which he was active until his death in 2004. Of course he has many publications. MTI remembers him as one of the early directors of the organization, a forum contributor and a contractor. One of the projects you might recognize Paul for is the "Unusual Corrosion Problems" book. He was the person who put together the basis of the Chem*Cor Modules. MTI owes Paul a great debt of gratitude. Galen Hodge was recognized for 36 years experience in the field of materials engineering and 23 plus years of service to MTI. Galen was the long time Rep from Haynes. Galen was a member of TAC starting in 1978, and he joined the Board in 1980. He served primarily on the Finance & Audit Committee and the Membership Committee. He was Vice-Chairman, and Chairman of the Board Chairman from 1993 to 1996. He left the Board in 1999. Galen retired as the Designated Rep for Haynes in 2001, but is continuing service as an Associate Director. Bill Fort pointed out during the presentation that Galen served the organization well as a Board member. "He was the person we could always go to to find out what company is what today and who belonged to whom." Galen was very active behind the scenes in drumming up membership as part of his marketing activities for Haynes. For every time he made a company visit, he also made a visit on behalf of MTI, a very strong contributor to the organization. Bert Krisher has 34 years of materials engineering experience and 25 plus years service to MTI. Bert is one of the gang of five who hatched the MTI idea in Toronto in 1976. He became the Monsanto TAC Rep in 1977 and served until his retirement in 1985 from Monsanto. Immediately after retirement, he became the Technical Director of MTI and served in that position until 1988 when he became Executive Director. Bert then did something unusual; he stepped down and became an Associate Director for the organization. In 2001, he became a Consulting Director. Bert is still here to help MTI, but not as active as he once was. Everybody remembers Bert as being the guy in the TAC who always had an opinion on anything. If there was any dead air he would be willing to fill it with an opinion and good information. Also active in many projects, in particular he was the driving force in the computerization of MTI. Bert dragged MTI into the 21st century kicking and screaming and helped the organization grow a lot.